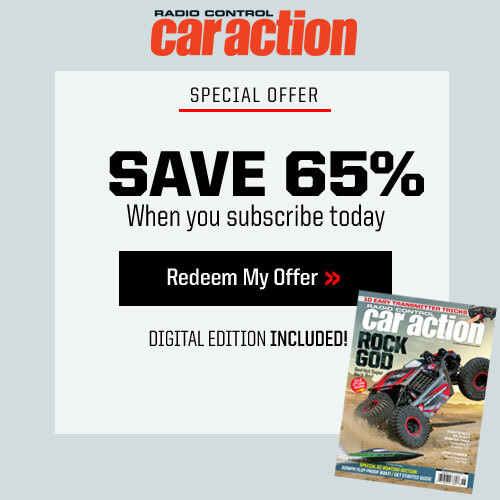 You may not feel particularly like a master of the universe right this second, but you’d better believe you wield serious power in the RC universe—after all, you and thousands like you are the ones buying the loot that makes the radio control industry go around. 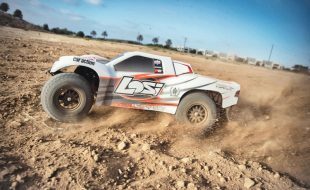 So when the readers of the world’s number-one RC media brand vote on their favorite gear, you can bet the many manufacturers of RC vehicles and accessories are watching very closely. Now in its 24th year, the Readers’ Choice Awards has always been and continues to be all about you. Editors’ opinions don’t count—these are your calls. Your choices, your votes, your winners! 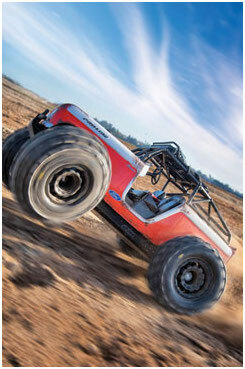 After three straight wins for the X-Maxx, it’s time for Traxxas’ biggest rig to step aside—for another Traxxas truck. 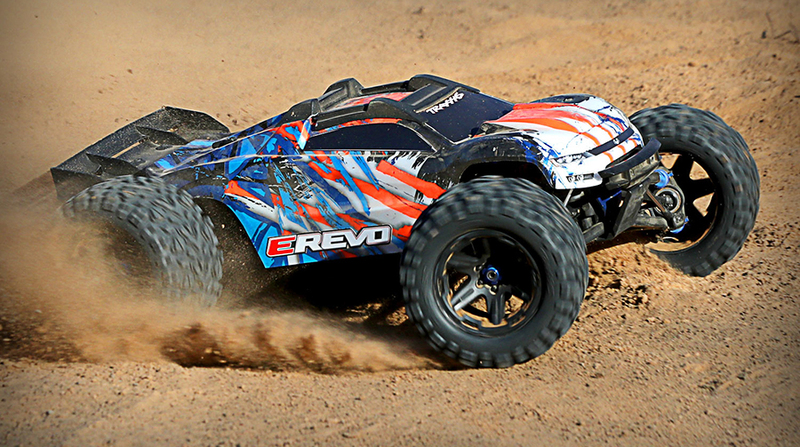 The E-Revo hasn’t been seen in the top-truck spot since 2009, but it’s back with a vengeance this year. But it’s hardly the truck it was in 2009; last year’s revamp saw nearly every part of the 70+mph supertruck replaced or revised for maximum toughness and performance. 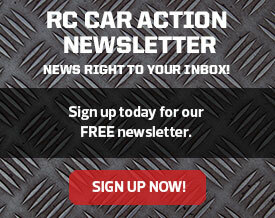 Welcome to the Readers’ Choice Awards, Arrma! The brand has been steadily building in popularity, particularly among go-big, go-fast off-roaders looking for 6S power and extra-tough platforms. 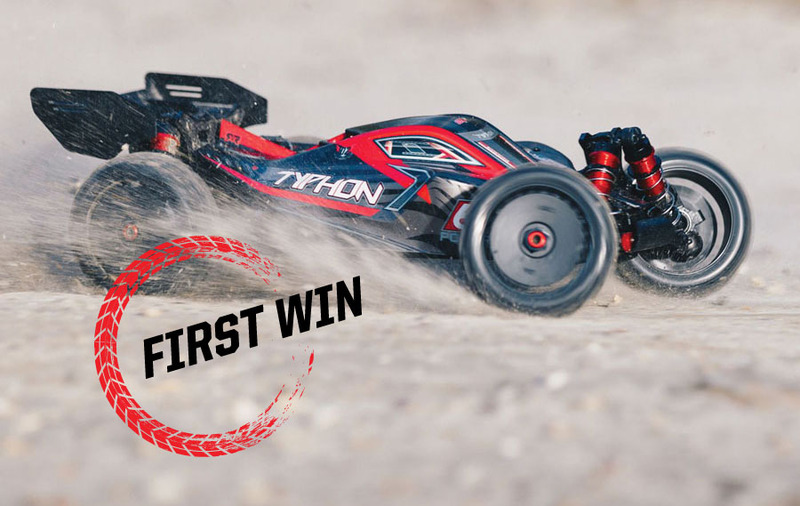 Arrma delivers with monster truck, truggy, and short-course variations, but it’s the Typhon buggy that scores a Readers’ Choice Award trophy. Noteworthy: This is the first time that a “basher” buggy has won the award over a competition model. Here it is, the Readers’ Choice Awards’ longest-running vehicle win streak: 16 straight years as your top-nitro pick! 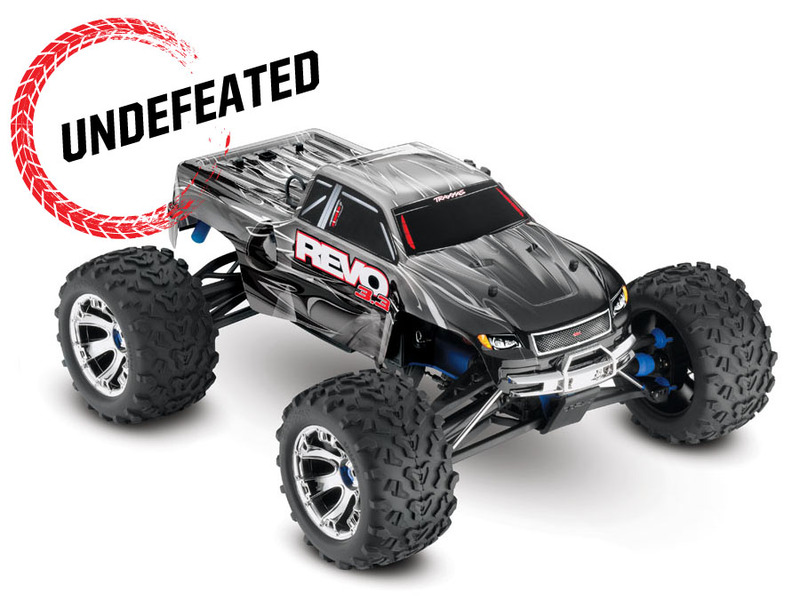 After winning the Nitro Truck category every year since 2004, the Revo has just kept on winning since we broadened the category to Nitro Vehicle. 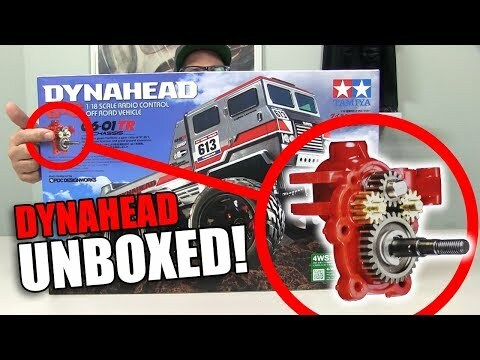 So not only did the Revo beat out every other nitro truck, it beat out every nitro anything. That’s eight in a row for the XO-1, Traxxas’ fastest car ever and the only RTR you can get that will top 100mph right out of the box. In addition to big speed, the X0-1 is literally big at 1/7 scale and more than 2 feet long from splitter tip to diffuser exit (we’d say “bumper to bumper,” but supercars don’t have bumpers). The latest road-racing models collected a few votes, but Traxxas’ insane-speed dream machine is still your overwhelming choice. 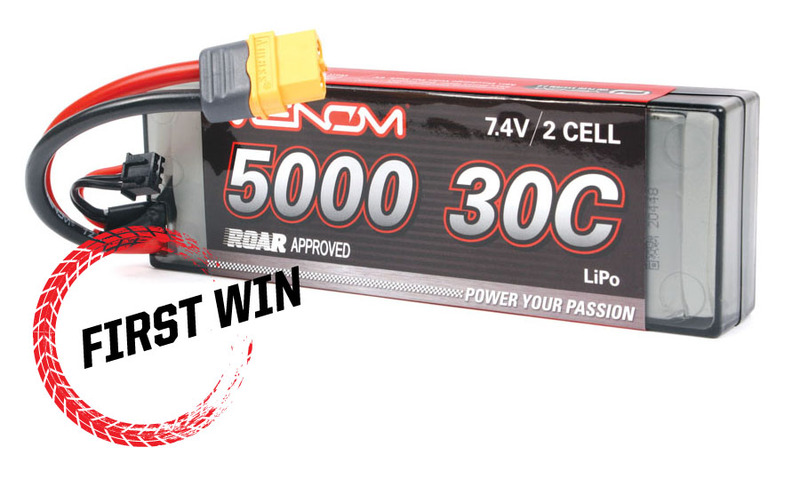 Venom’s been gaining steadily in Readers’ Choice voting for batteries, and 2019 is the brand’s breakthrough year. Venom’s latest Drive universal-plug system helped put Venom LiPos over the top as your battery pick, with votes for all sorts of configurations and capacities. We added the Tire category to the Readers’ Choice Awards in 1998, and since then it has been won by exactly one brand: Pro-Line. Winning treads have included race rubber and monster meats, but since 2012 it’s been all about two patterns: the gnarly-knobby Badlands, and the big-lug Trencher. This year marks the third win for the Badlands, which you can get in short-course, 2.8- and 3.8-inch sizes—and all three styles earned their fair share of votes. 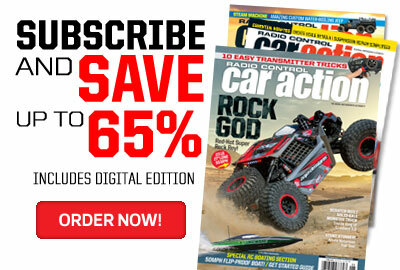 Wow, you guys are really feeling Traxxas’ trick charger—four years in a row! Last time around, you chose the EZ-Peak Live, and for 2019, you upgraded to the latest dual-port model. 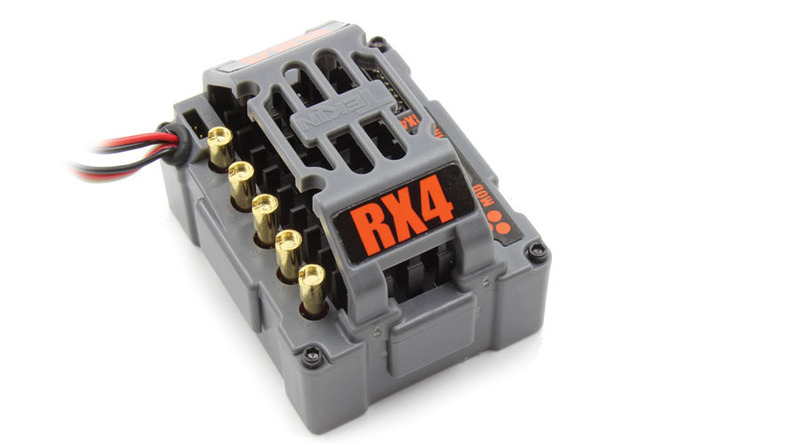 It’s Traxxas’ most powerful charger ever—and smartest. Plug in any Traxxas Power Cell battery and the charger recognizes chemistry, cell count, and capacity, and selects the correct charge settings. 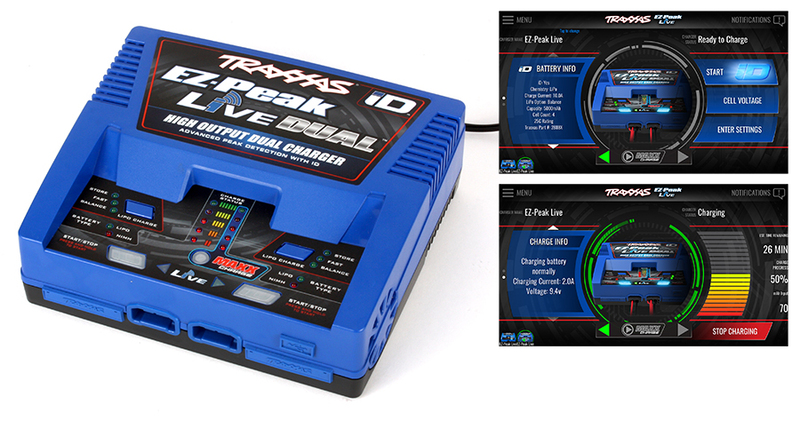 If you connect the charger to your smart device via Bluetooth, the Traxxas EZ-Peak Live app lets you monitor charge progress and program settings. Very cool. 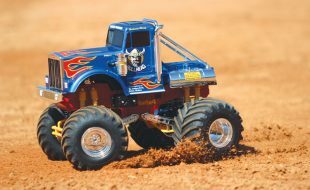 Pro-Line has owned the body category since 2000, with wins for all kinds of shapes and styles, but trucks are always the big favorites. 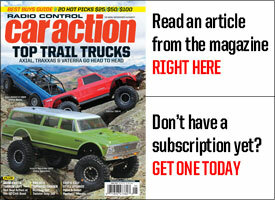 This year, it’s the C10’s chance to shine. 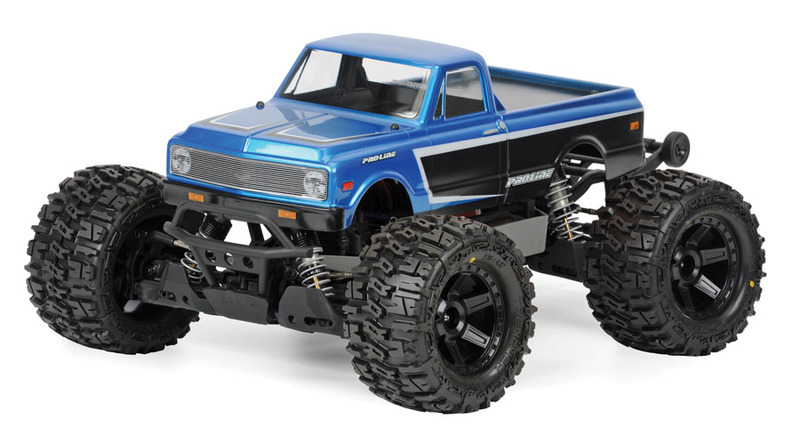 The version for Traxxas Stampede is shown here, and you can also get the classic Chevy look for trail rigs, 1/8-scale monsters, and short-course machines. Nice! 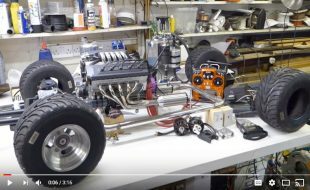 We counted lots of votes for the top Japanese and Italian fire breathers, but the mill that got the most love is also the one that’s likely in more cars and trucks than any other: the Traxxas TRX 3.3. 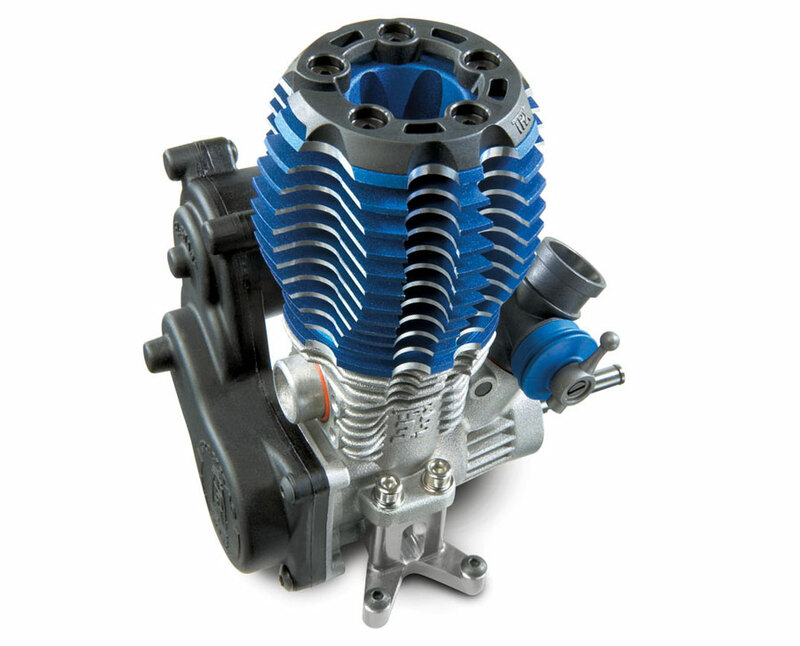 This rugged and reliable engine has been a Traxxas staple for years, powering the largest Revo and T-Maxx trucks with torque to spare and winding out the Jato and Nitro Slash to ludicrous speeds. Easy to tune, crazy power, and electric starting—what’s not to love? 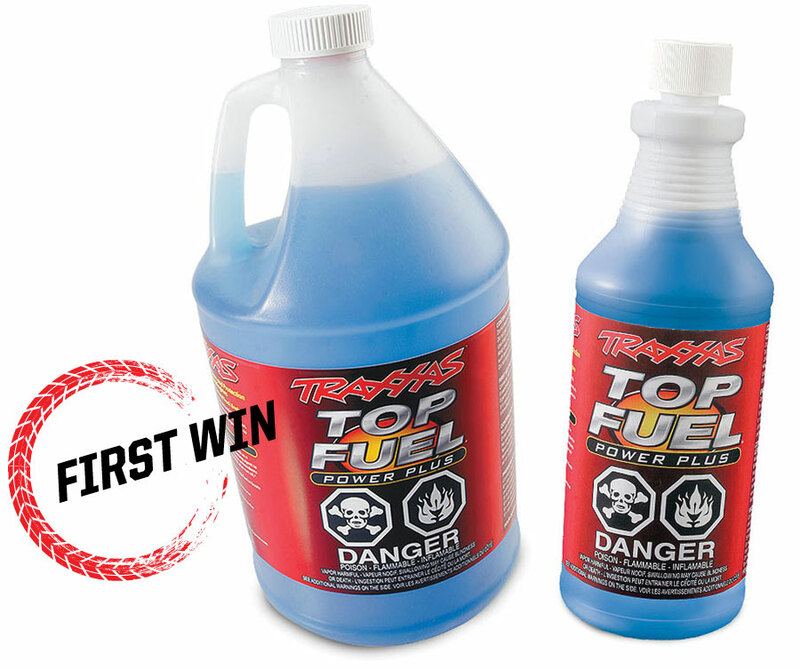 Traxxas developed Top Fuel specifically for the TRX 2.5 and 3.3 engines to make sure drivers got maximum horsepower and life from the high-revving mills, and it’s still “the only fuel 100% certified for use in Traxxas engines.” Since there are likely more Traxxas engines pounding pistons in RC than any other brand, it makes sense that you’d vote Top Fuel to go with Traxxas’ engine-category win. Tekin racked up votes for its racing motors, brushed crawler motors, and the 1/8-scale big hitters (and lots of votes simply for “Tekin”). The Pro4 series and ROC412 motors got the lion’s share of the votes, which lines up perfectly with what’s hot in RC right now: trail trucks and big-power brushless. Tekin scored votes for a variety of speed controls (and many of you just voted “Tekin”), but the RX8 Gen3 and RX4 were the clear front-runners. We’re showing the RX4 to switch things up and show off the newer model. Waterproof “hardbox” construction makes the RX4 extra tough, and of course it’s fully programmable so you can custom-tune it for your style of off-road adventure. 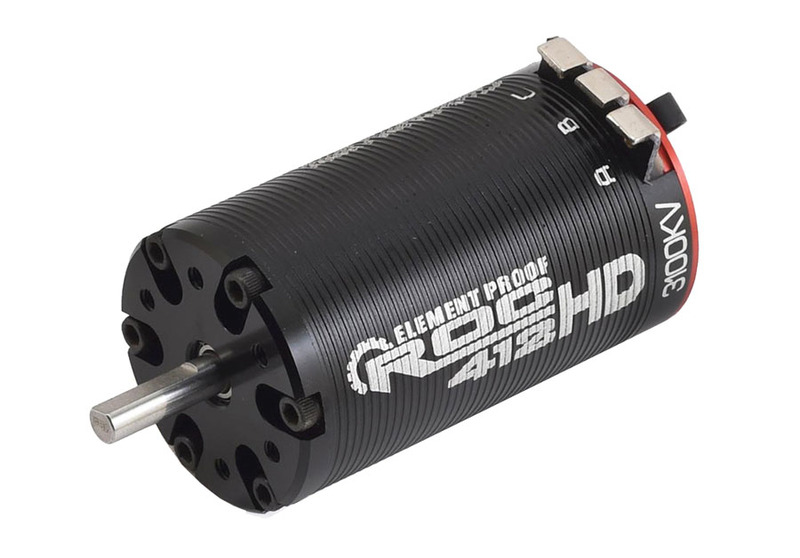 It pairs best with Tekin’s ROC412 sensored brushless motors, but the RX4 can also operate sensorless motors as well as brushed motors (so “any RC motor,” basically). Futaba broke Spektrum’s nine-year winning streak with wins in 2017 and 2018, but Spektrum is back on top this year—but not with its top-of-the-line model! Nope, you gave the most votes to the midline DX5 Rugged. 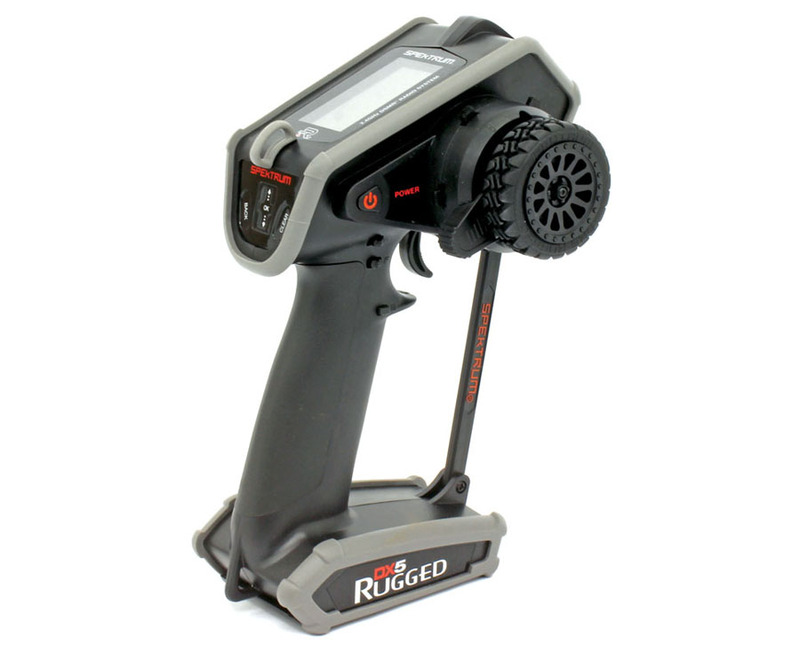 Value likely factored in, but we’re sure it’s the “rugged” part that you like. As we’ve proved ourselves, this water-resistant, rubber-armored radio really is a tough customer that bounces back from drops that would wreck other transmitters. And bonus: it has built-in thumb steer. 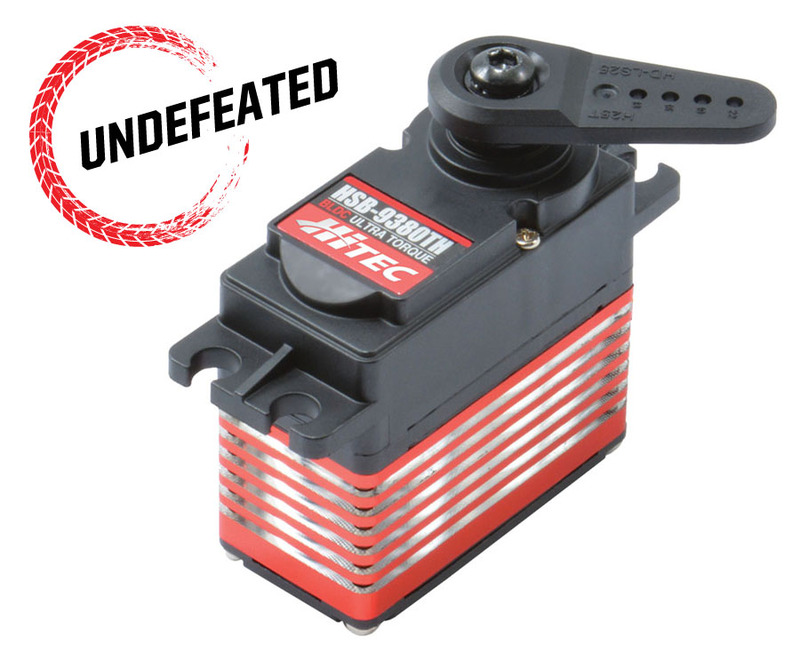 Hitec has never lost this category, and while your specific model picks varied, it’s no surprise you went for the brushless models with big torque numbers (like the 472 oz.-in. HSB-9380TH, pictured here). The trick machined-aluminum, red-anodized heat-sink case probably helped score a few votes too. Ryan’s been here before: first in 2013, then twice in a row in 2017 and 2018. 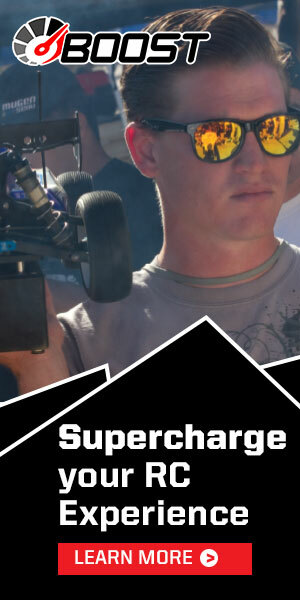 There’s a difference this year, though—now Ryan’s wheeling for Team Yokomo. And lest anyone think Ryan’s coasting along on good looks and charm, consider the hardware he brings to the trophy case: four IFMAR Worlds wins, four Reedy International Offroad Race of Champions wins, and way too many ROAR National Championships and showcase international events to count. 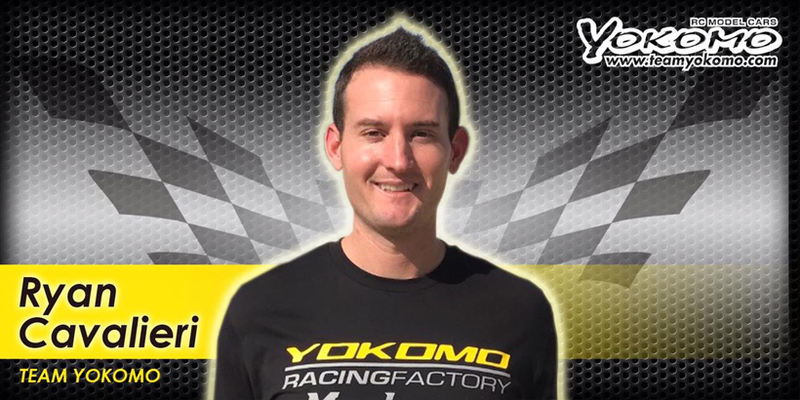 You can count on more wins from Ryan and his Yokomo machines. Bit of a surprise, this one. If a product doesn’t score the Innovation award in the year it’s released, it doesn’t usually make a significant reappearance the following year. Not this time! 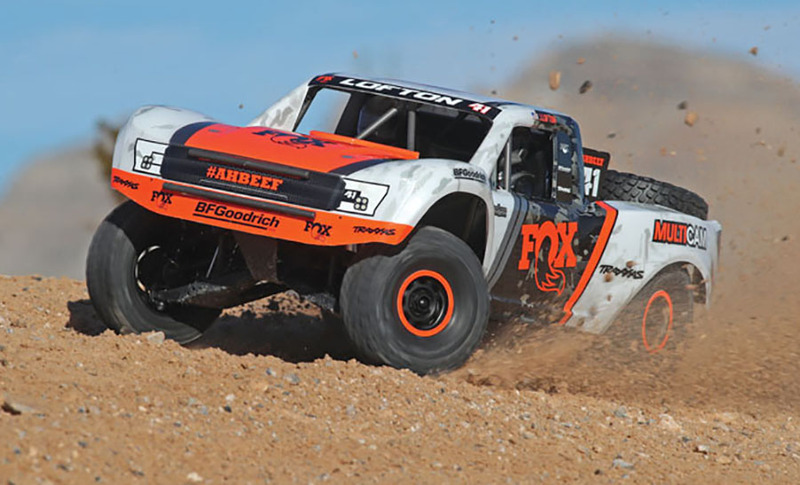 After being edged out of the 2018 Innovation award by the Traxxas TRX-4 Ford Bronco, the Unlimited Desert Racer pulled a Rocky and came back with the win. And it deserves it, as the UDR is indeed a massively innovative truck. Standout features include the “upside-down” chassis and planetary gear reduction in the axle, which greatly reduces torque twist in the 6S, 50+mph machine. Plus, it’s super scale—see the May 2018 issue’s deep dive.